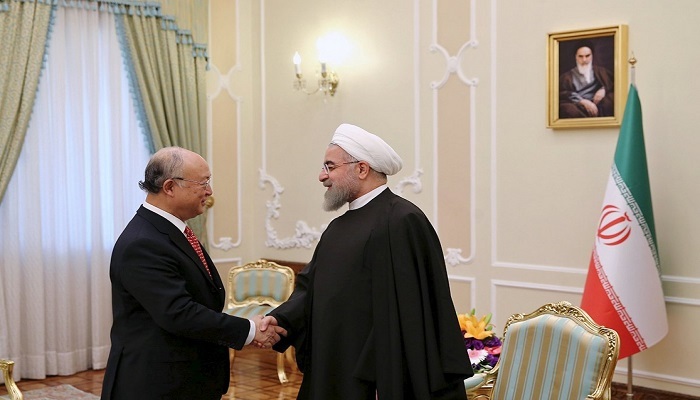 The Iran regime revealed it took its own samples at the Parchin military site as part of the secret side deal it made with the International Atomic Energy Agency as the head of that agency, Yukiya Amano, was in Iran to visit the site and give what appears to be his support of the regime’s handling of the self-inspection protocol. The fact that regime state media described Amano’s visit as “ceremonial” rather than an inspection tells you all you need to know of how the regime viewed the self-inspection process. Sen. Tom Cotton (R-AK), a chief critic of the Iran nuclear deal, pointed to the regime’s latest disclosures as more evidence of the flaws in the nuclear agreement. 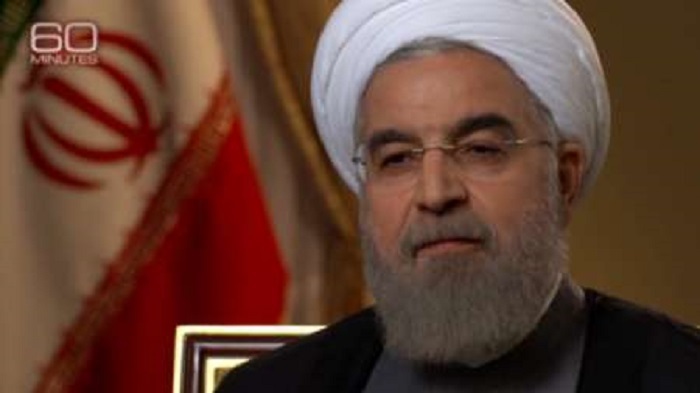 “The fact that Iran is taking its own soil samples shows that the verification scheme is an embarrassing charade, and yet another concession we can add to the pile of concessions that make up the dangerous Iran deal,” he said. Even though the IAEA has had a long history of complaints lodged against the regime over the last decade for non-compliance, including not answering basic questions about the history of its nuclear program and its military dimensions, as well as the failure of the regime to make nuclear scientists and technical personnel available for interviews, the IAEA has seen fit to enter into a secret deal with the mullahs and not make it available to the rest of the world. The fact that we even know about the self-inspection protocol and lack of international oversight of sampling from the Parchin site is due more to the intrepid reporting of journalists at the Associated Press than to any government disclosures from the United Nations or P5+1 group of nations that negotiated the deal. The Obama administration, already duped into believing the regime will not cheat on an already badly flawed agreement, claimed that the self-inspections are a step in the right direction. Breitbart.com reinforced the absurdity of self-inspection by reminding us the Congress was never shown the IAEA side deal, the regime was allowed to “sanitize” the Parchin site and hand-picked the areas to be sampled and handled the cameras taping the sampling that IAEA officials were watching. You could not have asked for a more orchestrated act than if you paid a Hollywood studio to stage it. The regime is certainly not wasting time flexing its new-found freedoms, not only by manipulating what will assuredly be a clean bill of health of Parchin, but also in busily acquiring new, advanced weapons and military hardware and arming its terrorist allies such as Hezbollah. Al-Rai, a Kuwaiti newspaper, reported this weekend that Hezbollah received all of the advanced weaponry that the Syrian regime has obtained from Russia as the Russians have dramatically boosted their military operations with boots on the ground, tactical fighters flown to Syrian bases and new tanks being off-loaded. The fact that all these military developments occurred since the nuclear deal was signed, demonstrates clearly the mullahs in Tehran feel extremely confident about their new-found status as international players and intend to flex their muscle visibly and without deception. 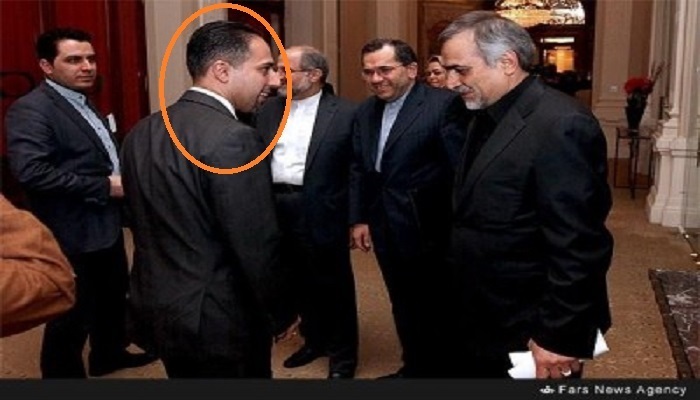 But the sales job for the Iran lobby never ends as Trita Parsi, the head of the National Iranian American Council, went on World Finance to laud the financial windfall the regime is due to receive because of the imminent lifting of sanctions. He continues to advance the absurd proposition that the regime’s newly emerging economic muscle could be used as a moderating influence in the region. What he fails to discuss is the intent of the ruling mullahs. No one doubts that Iran can be a major economic player in the region; the only question was whether or not the mullahs primary mission was to improve the economic status of their people or push further their brand of fundamentalist Islamic faith? History demonstrates ably that the mullahs have no other concern than preserving and expanding their extremist views throughout the Muslim world. Parsi’s statements about Iran’s economic potential are only one half of a joke, the real punchline comes with what the mullahs decide to do with all that newfound economic muscle. The unfortunate part is that the joke will be on those who supported and approved this deal based solely on the “hope” that Iran’s mullahs could be worthy of trust. Khamenei-with-IRGC-The main force behind terror in Iran, Iraq, Syria, Yemen, Lebanon, etc. The failure of Congress to halt the implementation of the nuclear deal with the Iran regime opens the floodgates for the regime to reap financial, military, economic and political rewards, but those gains may prove tenuous and illusory since in order to win passage of the agreement, the Obama administration took the unusual route of proposing it not as a full-fledged treaty, but as an administrative action that an incoming administration could conceivably reverse. Since the Iran regime was adamant on delinking anything not related to the nuclear issue including human rights violations, support of terrorism, development of ballistic missiles and proxy wars, the reality is sinking in for supporters of the regime that they need to pay lip service to these other issues in order to stave off renewed calls to punish Iran for its transgressions. 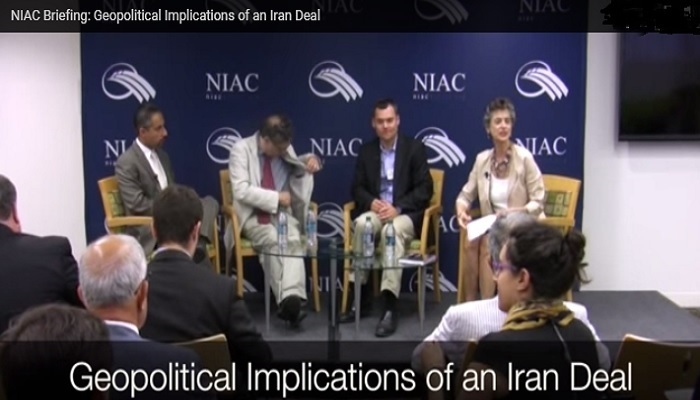 “While dialogue does not guarantee that Iran’s foreign policy conduct will shift to Washington’s liking, the absence of engagement all but guarantees that there will be either no change or a change in the wrong direction,” Parsi said. While Parsi is showing its true face by advocating more dialogue with the criminal mullahs, his call for greater dialogue were again undermined by the statements of the regime’s top mullah, Ali Khamenei. In his weekly televised speech, Khamenei warned commanders of the regime’s Revolutionary Guards to be on alert for “political and cultural” infiltration by the U.S. according to Agence France-Press. 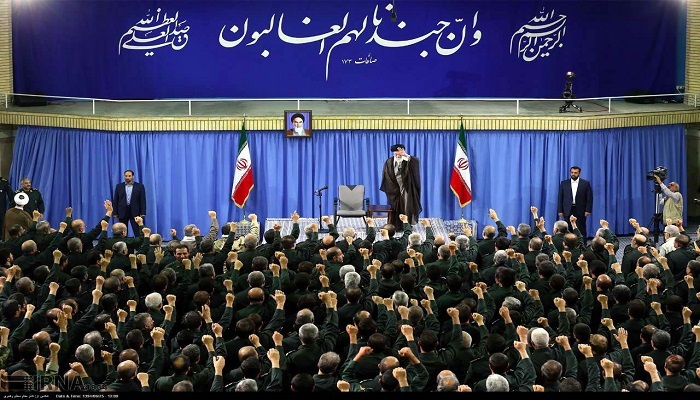 “The main purpose of the enemies is for Iranians to give up on their revolutionary mentality,” Khamenei told a gathering of Guards commanders and personnel in Tehran. “Enemy means global arrogance, the ultimate symbol of which is the United States,” he said, calling on the powerful branch of the military to protect the revolution. “Economic and security breaches are definitely dangerous, and have dire consequences,” he said. “But political and cultural intrusion by the enemy is a more serious danger that everyone should be vigilant about,” he added. Parsi of course did not call for Khamenei to moderate his language or stop the continued depiction of the U.S. as Iran’s greatest “enemy.” Parsi saves his rhetorical fire – not to his mullah taskmasters – but for the U.S. leadership that he actively lobbies. Khamenei threw more cold water on Parsi’s press release and his call for greater dialogue by saying last week that Iran would not hold any negotiations with the U.S. beyond the nuclear issue. 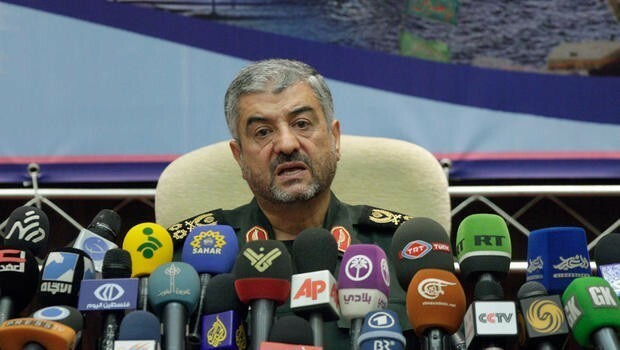 Short of calling Parsi a liar, Khamenei certainly refutes most of what Parsi has to say. It’s no surprise that Khamenei made his appeal directly to the leaders of the Revolutionary Guards which was created by the mullahs to preserve the mullah’s rule and maintain the stranglehold the leadership holds over Iran’s economy and its people. The passage of the deadline to sink the nuclear deal also marked a celebration of sorts by supporters of the regime as evidenced by Ben Wikler, Washington director of Moveon.org, piece in Huffington Post which gleefully recounted how the regime’s supporters marshalled their forces to prevent the agreement’s demise. The only thing missing was a photo of Wikler and Parsi holding hands in front of a “Mission Accomplished” banner over an Iranian missile battery. But while Wikler breathlessly recounts the campaign to support the deal, this moment may prove Pyrrhic for supporters as the next year reveals the true nature of the regime as it no doubt continues to support conflicts in Syria, Iraq and Yemen and Americans grow increasingly uneasy about the deteriorating situation in the Middle East along with the rise of extremist groups and a full-blown refugee crisis. Broad public disapproval of the nuclear deal has already been registered in virtually every public opinion poll and the fact the deal was passed with no bipartisan support and only through a minority vote of 42 Democratic senators may condemn any member running for re-election not only in 2016, but also 2018. In essence, the regime lobby is praying mightily the American people will have a short memory and that the mullahs don’t blow it for them; neither scenario seems likely. “Now that the truth about NIAC is emerging, one has to ask why anyone who seeks respectability in Washington would have anything to do with Parsi and his cohorts,” Cohen said. “The Islamist regime in Iran is the root of the problem, not its cure: as long as it remains in place, there should be no talk of normalization. Second, that there shouldn’t even be an Iran lobby in America, if by ‘Iran lobby’ we mean individuals and groups like NIAC, whose mission is to sell this vicious regime as an attractive partner for Western democracies,” Cohen added. Cohen is correct when he assesses only regime change in Iran will force changes in policy away from sponsorship of terror and human rights abuses. The real hope and future lies not in the nuclear deal Parsi has championed, but in a new presidential administration that can tear it up.